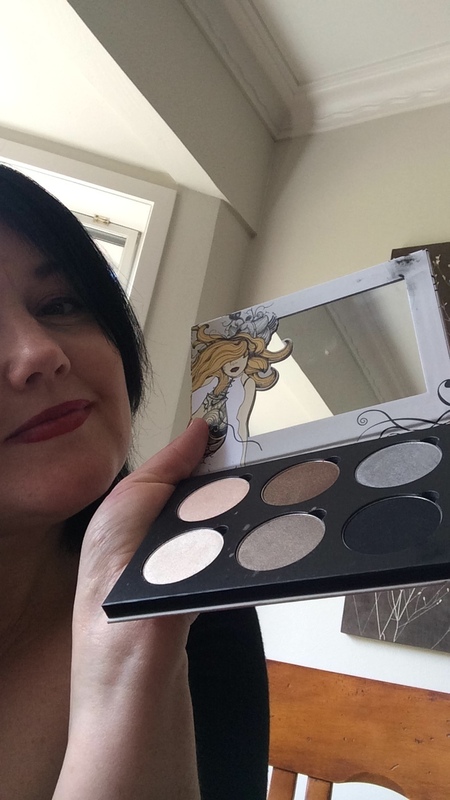 I was lucky enough to get a voucher from www.makeuponline.co.nz from my sister for my birthday and one of the things I purchased with that voucher was the Creme de la Creme eyeshadow palette from Sauce Box. Firstly, can I say – the pans are HUGE! Like 4 grams huge! To give you a comparison, the pans in my Naked 3 palette from Urban Decay are 1.3 grams – so more than twice the size. Which is cool – because based on how much I’ve used them thus far, I’m pretty sure they’re gonna need to be big! Thirdly – swatches. Pictured below are my highly unprofessional swatches. From left to right: Black Widow, Secrecy, Rain, Future, Inception, Sea Shell. Sorry – Sea Shell disappeared a bit – but trust me, it’s real pretty. 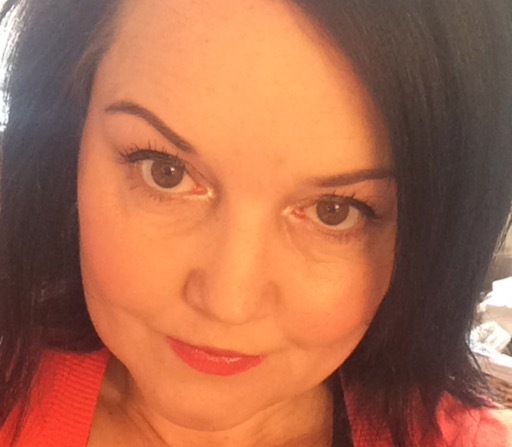 Fourth – now I am NO beauty blogger, nor am I a makeup artist (and clearly from the photo, no photographer either!) but I have really been enjoying using this palette. This is how I’ve been using it: primer on the lids and then I use a really light base of whatever blusher I used (I think that might be a bit random, but that’s what I do!) on the lid itself I use Rain, then I blend a little bit of Sea Shell out across the rest of my eye; then I blend Inception in the crease to give a bit of depth and then Rain again in the inner corners. These shadows apply really smoothly and last well without creasing. I’ve heard other people talk about them being “buttery” – I kinda get that, but it’s not something I would have come up with myself! The only complaint I’ve heard about this palette is that it doesn’t have any matte colours. I’m not going to jump on that bandwagon personally though, ‘cos as I mentioned before, I have the Naked 3 palette and that has some gorgeous matte colours, so I’m all good! My pick of the colours? It would have to go to Sea Shell. It’s purrrrrty and soft with just a hint of pink/apricot and it’s a wee bit sparkly too, and Mumpty does like that. So that is my non-beauty-blogger, non-professional review of the Creme de la Creme eyeshadow palette by Sauce Box. In short – buy it if you see it – it’s really pretty and excellent value for money (I got mine on sale for $NZ39) Any actual makeup artists who want to come and put it on me properly – feel free – my lids are yours! Coming to MumptyStyle soon: non-professional reviews on L’oreal Serioxyl hair growth system and The Balm Manizer Sisters palette. Posted on October 30, 2015 September 29, 2018 by MumptyStylePosted in Makeup/Skincare, Mumpty ReviewsTagged blogger, Creme de la Creme, eyeshadow palette, makeup, NZblogger, Sauce Box.